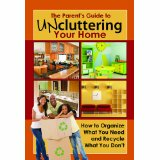 I am the author of The Parent's Guide to Uncluttering Your Home, scheduled to be released this December from Atlantic Publishing. A cluttered home can be a nightmare. It makes your things hard to find, it creates stress in your family, and it can even cause injuries if it becomes too overrun with clutter. But, it doesn t have to remain that way. There are countless resources available to help every individual organize, put away, store, and even recycle their old possessions to get them out of the way and where they belong. Through hours of careful research and personal experience, this book was compiled to show even the most vociferous of packrats how to start sorting through their possessions and putting aside everything that just doesn t need to be in the way anymore. To start, you will learn how to stop and assess your situation how much clutter can you afford to have, why does it happen at all, and what does it cost you to have such a mess in your home. 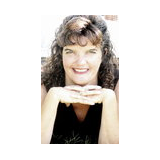 You will learn how to start changing your fundamental way of living to reduce clutter and how to recognize your accomplishments in keeping a clean house. You will learn how to lighten your loads by throwing away what you really don t need, donating what others can use, and knowing how to make a little extra money by cleaning things up a bit. You will learn the basics of effective storage and how to organize your things. You will learn how to recognize clutter zones and renovate them to cut down on clutter in entranceways, closets, children s rooms, bathrooms, bedrooms, kitchens, family rooms, offices, basements, attics, garages, and cars. Organization experts were interviewed and their expertise has been compiled here to provide you with details on how to simplify your systems with lists and schedules, filing systems, proper meal and recipe planning, group cleaning, and constant organization. You will learn how to ensure clutter never comes back by reducing your shopping, following a daily schedule to clean, and occasionally going through the same above motions. Regardless of how severe your clutter problem is, this book will help you to recognize and start dealing with it right away. Written from the perspective of a parent who is not a naturally neat person, this book examines many ways to tackle the ongoing problem of clutter, freeing us from the trap of our own belongings.